Okay people, did your momma not teach you those basic lessons about sharing? Apparently, people throw their manners out the door when cookies are involved! I posted (tongue in cheek, mind you) about the Good Doctor who did not like sharing his chocolate biscotti my mom made, with his staff. So once he fessed up, she made some just for the staff. Everyone was happy. I worked around physicians offices for many years, I know that as soon as the Good Doctor turned his back on those cookies, the staff would swoop in. And it is a large staff at his offices, so he gets a bye on the sharing thing. However, about a year ago, I posted some cookies I made for the Post Office. My little local P.O. I know what kind of a bad rap the P.O. gets, and I understand. Sometimes I feel like such a nuisance to the people working there. But when they squeezed Nic in for a passport renewal on his 3 day leave, I was pretty thankful. And, as most of you know, when I am thankful, I bake. I admit, I was a little surprised when I was back at the P.O.a few days later, and no one ever mentioned the cookies. Not even the woman I gave them to. Okay. Well, this last week I was shipping out cookies (showers, birthdays and Father's Day) my family had a lot going on. My favorite P.O. guy was taking care of me and we chatted a little about my "perishable" box. I told him I was shipping the world's best sugar cookies, but then I mentioned he had to have tried them, the big platter of stamps, last summer, anything familiar here? But, nooooo. They were not shared last summer. He never saw them. So there is only one thing to do. Make cookies for Willie. I know he is retired Navy, because we would talk about the military when I was shipping Air Force boxes out. So I decided some anchors and maybe some 4th of July themed cookies. I have seen some neat ideas around the web and thought they would be perfect. So thanks Willie. And no, you most definitely do not have to share! Frosting For the Cause is a website that changes every day. Baking bloggers like me volunteer to post one day and write a little something about how cancer has touched our lives. The posts are inspirational, sad and truly heartfelt. I did my original post on May 25 focusing on breast cancer and my sister's battle. I was happy to do my post back in May, and offered Paula a pinch hit post. 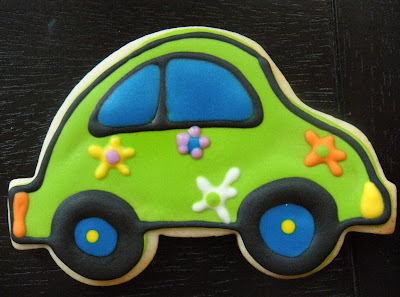 I am a sugar cookie baker with an ever growing cookie cutter collection, and when I found the VW Bug cookie cutter I thought of Squarkie, and her battle with Pancreatic Cancer. Squarkie is my mom’s youngest sister and she was diagnosed at the young age of 52. She lost her battle after 4 years. Squarkie, whose real name was Helen, was the “cool” aunt. Back in the 70’s we spent our summers at the lake, and Squarkie had the coolest VW bug. My cousins and I were barely teenagers, and she was single and so hip to all of us. I can still see her in her bell bottom jeans, her big glasses and that VW driving to the soundtrack of my childhood. Pancreatic cancer struck around 43,000 people in 2010, and nearly 37,000 died of the disease. It is one cancer that shows no significant decline in detection or mortality over the years. It is often not diagnosed until the disease has advanced. Pancreatic Cancer is a nasty disease, and Squarkie braved her treatments for years. I still have a letter I wrote her the day before she died. It was addressed and ready to mail. I don’t suppose I’ll ever let go of it. As I edge closer to my fifties, the reality of her diagnosis becomes quite real. She was so young. In Squarkie’s honor, I made these VW Bugs in the hot colors of the 70’s. Squarkie’s bug was white, but her personality was full of color. Sugar cookie and royal icing didn't seem exciting enough to share, you can find them on my blog under recipes. The recipe I am sharing is for Czechoslovakian Cookies. When I got married, I asked my Aunts for a treasured recipe. Squarkie passed this one on to me. Part of the beauty of a recipe box is the handwritten cards of people we love and miss. This is the recipe exactly as written. She had very specific instructions once they were baked! Cream butter and sugar until light and fluffy. Add yolk and blend thoroughly. Add flour and nuts and mix until blended. Spread half of the mixture with fingers in 8X8X2 pan. Cover with preserves to ¼” of the edge. 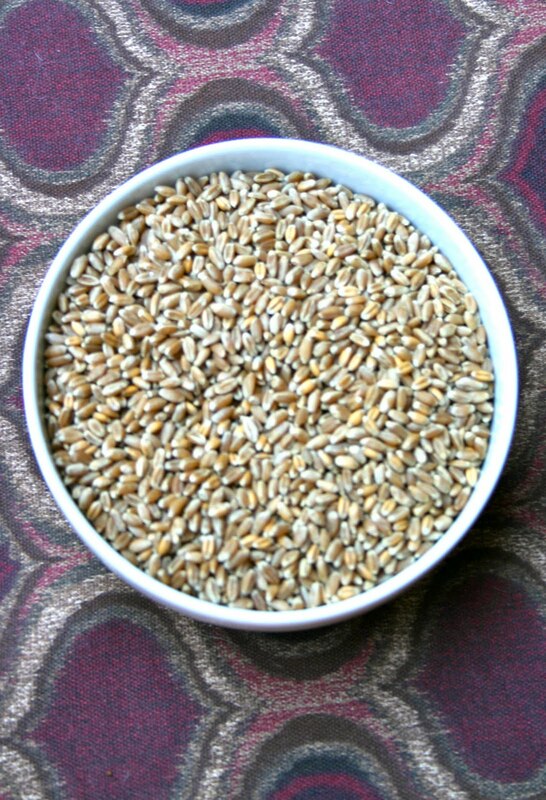 Carefully cover with remaining half of mixture with fingers. Bake at 325° for 1 hour. Cut into small squares while warm. Make coffee and invite Squarkie over. Last summer I wrote all about the Good Doctor and how much I love this man and what he does for my mom. I also touched on the cookie sharing thing, a theme going on around here, and of course his wardrobe, and that pen! Well Jo, (that's my mom) asked for sugar cookies for the Good Doctor. He may be getting a little tired of the chocolate biscotti every month. No, that could never happen! I think she just wanted him to have some cute sugar cookies like I made her "geriatric pediatrician" and our family's own up and coming doctor! It is my pleasure mom. I hope he loves them! Happy Baking all! 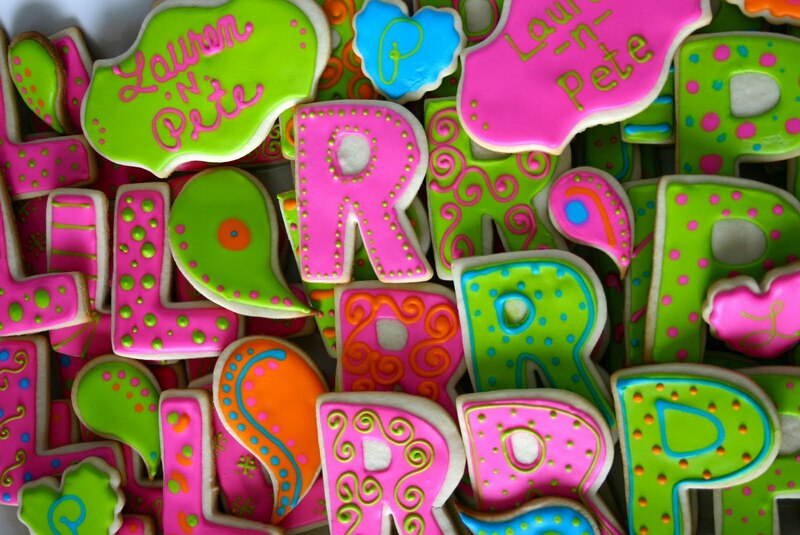 I did these cookies for my sister and her daughter for a bridal shower they were throwing. They loved the lingerie cookies I did a few years back, they are here. But those were for a chilly fall day. It is summer, and I really wanted to lighten up the colors. I mean, it isn't like we are wearing black lace undies under our white jeans right? So Patti thought the colors were along the line of the Minnesota Vikings. So I softened that idea a little with lavender and pale yellow. So pretty, I wouldn't mind a few of these in my drawer! My apologies for the photos, just as I was getting the hang of a light box, I blew a bulb. Seriously? I really just want to write. I need a resident photographer... Happy Baking! Last year I sent my mom some sea shell cookies for her birthday. They are found here. My original idea was to make them pale pink. 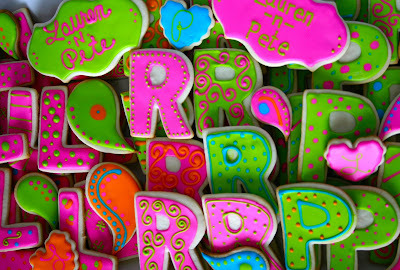 But the color got away from me and they ended up to be colorful cookies. No worries, it's all about the taste, and my mom loves anything I bake her! But after reading a post from an amazing sugar cookie baker LilaLoa and she posted her seashells that were pure white, I knew I had to make them again. Simplicity speaks volumes. I think my mom is going to love these cookies! One caveat...when I took the picture, I knew I needed a little brown sugar sand. I only had dark brown sugar, and nothing could be further from the gorgeous white sand beaches of the Gulf of Mexico in St. Pete Beach. Hope you had a happy birthday mom! Back in 2008, when no one was reading my blog but me, I made these amazing chocolate cookies. It was a blog written in the heat of the moment, but that is indeed what blogging is about, right? You learn a little about me, and get to cyber-taste something delicious! 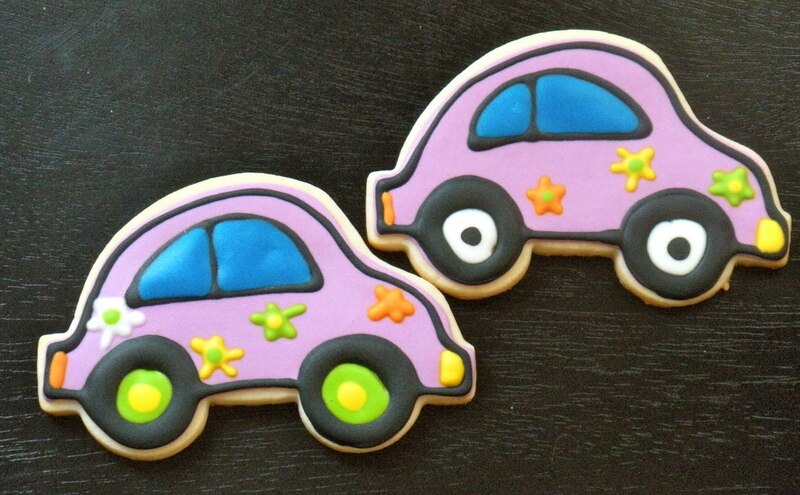 These cookies are my daughter's favorite, and I can't really remember what we used to call them, because since that post in 2008, we call them Pissed Off Sports Mom Chocolate Makes It Better Cookies. I am a coaches dream parent. I bake out my frustrations. 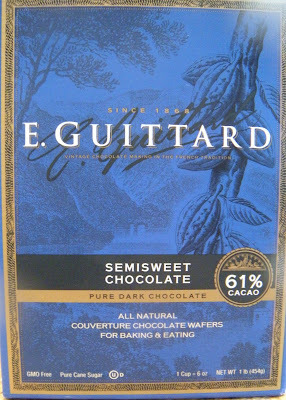 I confessed in that post, that chocolate is not my downfall, but sometimes I do crave a square of really dark chocolate. Not chocolate chips, (yuck.) I recently picked up a Lindt 85% cocoa bar, passing on the chili infused one which is my favorite, because I knew I would share with Christina. She knows the hiding spot. Yep, I hide chocolate. 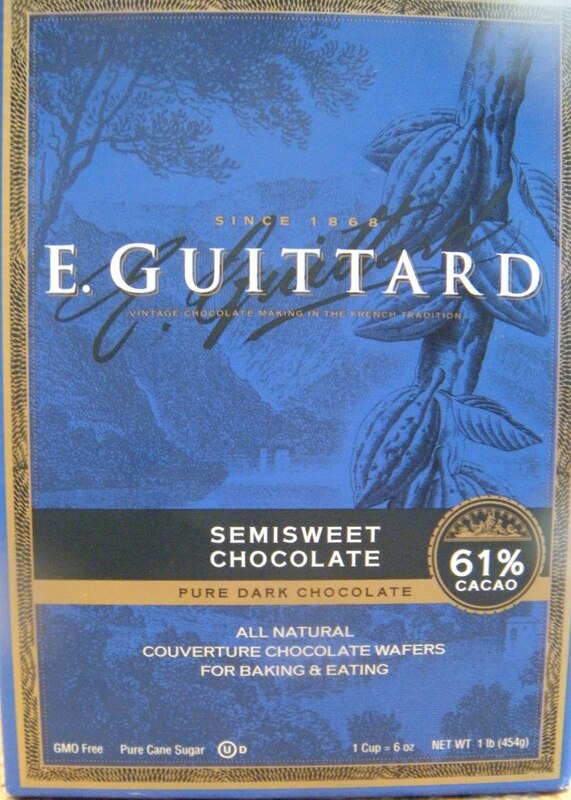 Hey, if you spend $3 on a few ounces of chocolate that you truly enjoy, hide it. 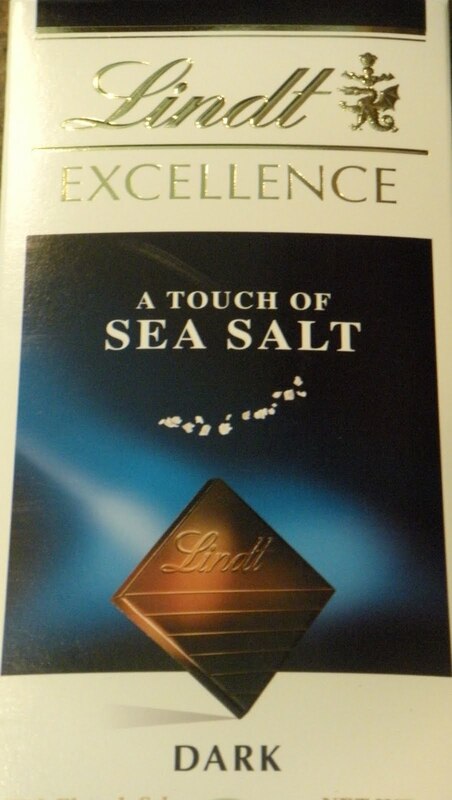 Anyway, in the Lindt selections was a new dark bar I had not seen, with sea salt. Hmmm, I like that idea. I love salted caramel gelato, and I thought about these chocolate cookies I sometimes make because it is the slight taste of salt in contrast with all that chocolate that I love. So back to the food processor and time to tweak this recipe! I chose Maldon Sea Salt, which is what is referred to as a dry, flake salt. It is very popular with cooks because you can crumble it easy in your fingertips. Try to not crumble it on the cookies, it is the jagged flakes that give the cookies a better appearance and the salt bite. The original recipe from the early nineties made something like 9 cookies. Make that 9 HUGE cookies. Even with 2-3 Tablespoons of dough, it will make a couple dozen. I decided to make these even smaller yet. Just watch that oven. 8 minutes would be the max time, try it shorter and give them a few minutes to cool, you want these little killers chewy! Add flour and chocolate chunks. I use these. Process using on/off pulse until just combined. Do not over process. Mound dough onto sheets in 1 Tablespoon clumps about 2" apart. 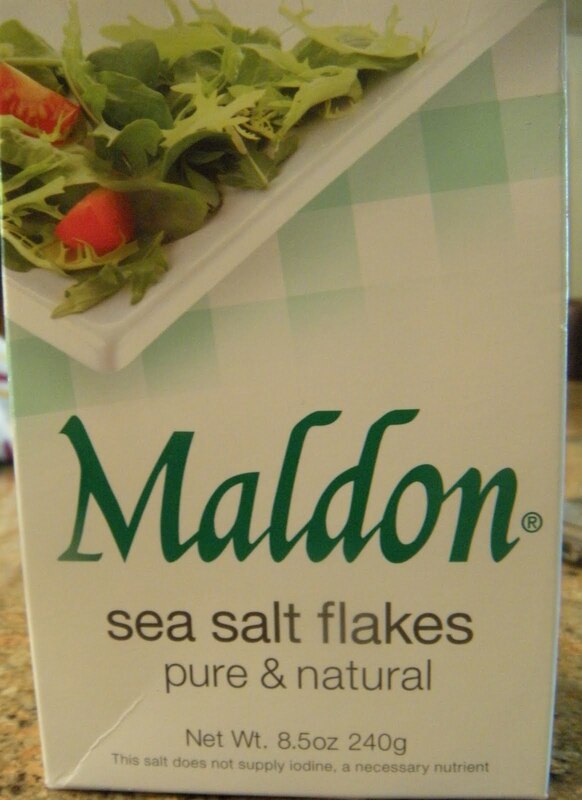 Sprinkle the tops of the cookies with Maldon Sea Salt, just a few crystals. Bake 8 minutes at 350, rotating sheets halfway through. Cookies should be slightly firm to touch, but careful not to over bake. Cool on rack. It only takes one to find a more peaceful place. When my friend told me she was throwing a wedding shower I knew I would be baking. 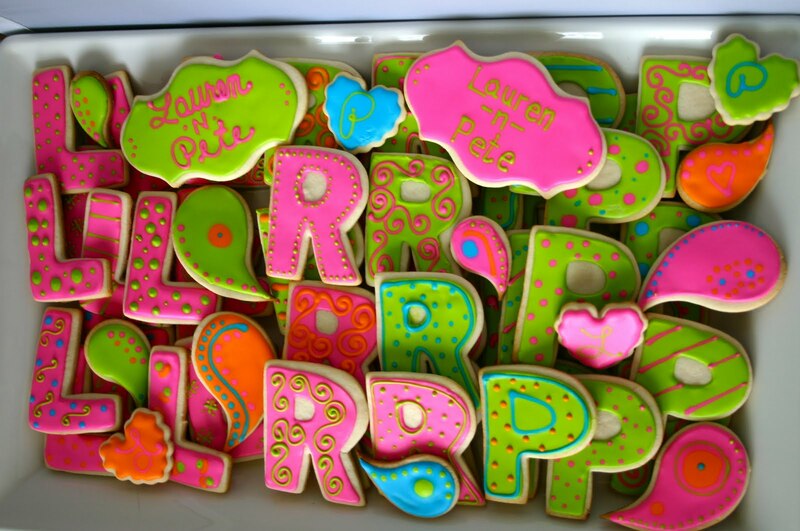 She loves the letter cookies, I have made them for an alphabet shower she threw, where everyone was assigned a letter. I made them too, for a pre-play dinner when we all went to see The 25th Annual Putnam County Spelling Bee. This shower however was pure Southern. I wish I could remember all the stuff she made, but here is what I recall, deviled eggs with smoked salmon, pulled pork BBQ sliders, shrimp grit cakes, cherry tomatoes stuffed with pimiento cheese, pecan tassies and banana pudding shooters. She is, hands down, the best Southern cook I know. 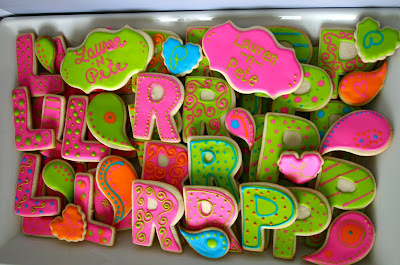 So I made L, P and R cookies for the bride, groom and their new last name. When I was ready to decorate I had her give me the color scheme. I love that she went total Lily Pulitzer colors, such fun to work with, primarily hot pink and lime green. The cookies would look great with the centerpieces, the napkins, the Chinese lanterns flickering in the trees, and knowing Melinda, she probably matched too! I decided to add in a few paisley cookies and a couple big plaque cookies to keep the assortment interesting. I thought a tray with the 3 letters may be a bit boring. I did the bride's initial with a pink base, the groom's in a green base, and the new last name is a mix of the 2. I added a little orange and blue to keep it all Lily-ish. Great fun! So, what are you waiting for? Get in there and bake! It started with a lovely organic chicken. I gave him a quick bath, tied his wings together and seasoned him well with some blend from Penzey's. I basically grabbed a few different jars from the pantry and shook them in my hand and slathered them on the bird. No oil, butter or extra fat here. I opened a cold one and took a nice long sip...the first sip is always the best! You can use any kind of beer. My husband worked for Coors in college as a campus rep, so you usually find that in the fridge around here. Stick the opened can where the sun does not shine and balance him on the hot grill. I heat the grill on high and keep it in the med range while cooking. I stick some onion in the neck cavity and lightly cover the top with foil so the steam from the beer is sort of caught. You can see what he looks like about a half hour into it, and note the grill needs to be smoking pretty good. You can see by the lead picture what he looks like in an hour. How perfect is that? Need I try and tell you how delicious it was? And simple (the only dirty dish was the serving platter!) So while the bird was smoking away on the grill, I boiled up some wheat berries. I buy them at Whole Foods, and discovered them making an amazing salad I found in a Martha Stewart magazine years ago. That is another blog. But I love these little wheat nuggets, they are delicious and have a chew to them. So I bring them to a boil and then simmer for about 40 minutes. Check for doneness, but I like them a little al dente. I chopped up some pepper, tomatoe and scallions and made a mustard vinaigrette and tossed them with the wheat berries. Delicious. I have been eating it for days, and just sprinkle a little more dressing on when I serve it. And finally, I really was in the mood for something sweet. We love frozen yogurt, but the craze here is serve yourself. Don't even get me started on this. I was reprimanded on another blog for complaining about these stores, and was accused of not supporting local businesses. Nothing could be further from the truth. I do not eat public food. Period. Those bins of topping and the hoards of kids are a major turnoff to me. And then you pay, holy moly, they charge .40-.50 cents an ounce. It adds up in a hurry. I am happy to pay more for a superior product (it isn't), great service (I have to do it all myself) or even a great atmosphere (um, nope). So I made my own frozen yogurt. I took 2 cartons (16 oz. 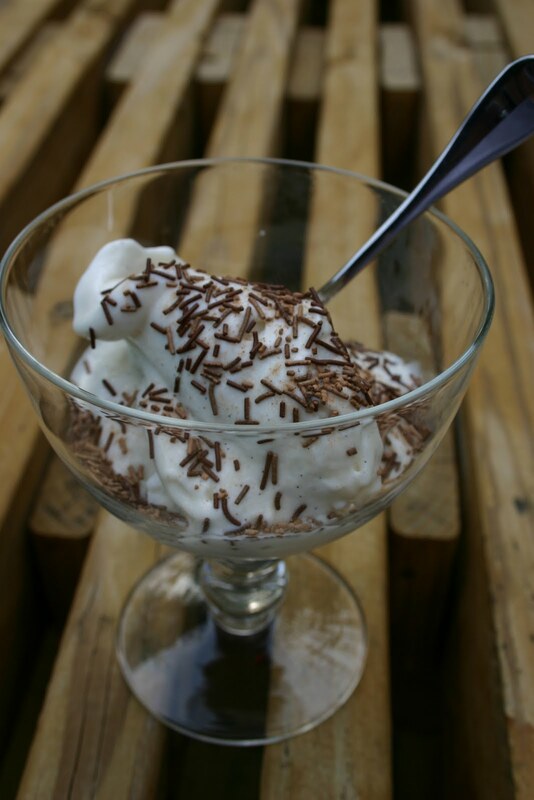 each) of Oikos 0% fat, plain Greek Yogurt. I mixed in a tablespoon of vanilla paste and ¾ cup of sugar. I ran it in my Krups ice cram maker for 20 minutes and had a creamy, tangy frozen yogurt. This is not like TCBY, this is like Pinkberry. I love the tang, but it is not for everyone. I have plans to try other flavors. But what a delicious dinner, and easy. So what are you waiting for? Get in there and cook!